The Conditions Weren't Ideal, But The Competition Went On Just The Same. Normally, we love to say that the weather at one of our Tour events was great and that we were running around in shorts as the sun gave us that perfect tan; well, not this time around. Whoever said that it doesn’t rain in Southern California was all wet this past April as we got a few of those showers. 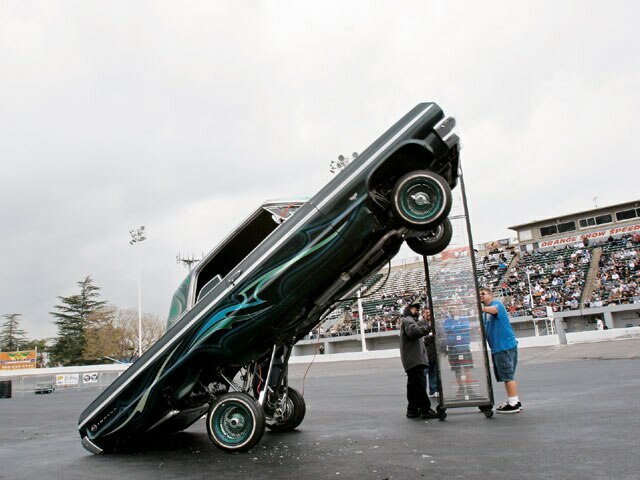 This Lowrider Tour stop at San Bernardino, however, proved that West Coast lowriders can put up with any type of weather, even drizzle during the hydraulics competition. More than 30 competitors came out to the CCE Hydraulics-sponsored Hop to try to qualify early in the season for the grand finale in Las Vegas, Nevada. Others came out to try and beat the Tour records that have already been established. But before the competition could get started, the crowd was treated to the Harley-Davidson stunt show, which featured burn-outs and scraping hogs to show the crowd that you don’t need them traditional plastic cruisers. 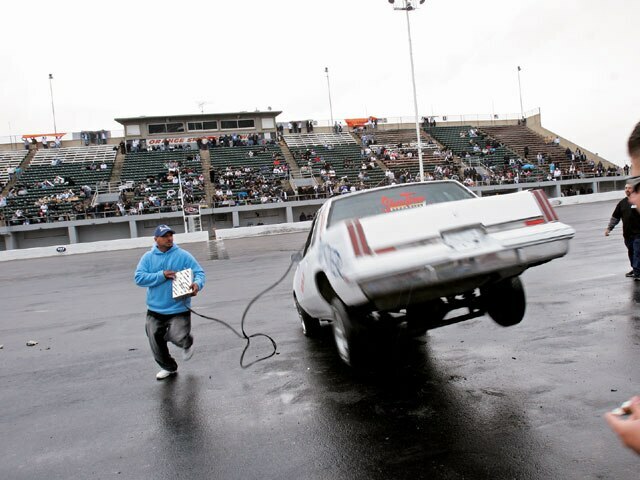 Starting off the Single-Pump Hop was Joe Casillas with his ’81 Chevy Monte Carlo that set the pace at 22 inches. 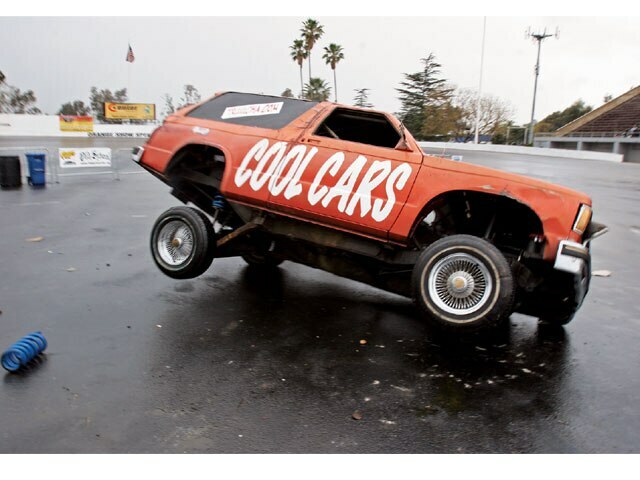 Herman Tinson was next to step to the plate and his ’85 Olds Cutlass hopped 40 inches. Next up was Sergio Sanchez and his ’81 Buick Regal hopped 18 inches for a potential placing position. Last up was David Marquez and his ’64 Chevy Impala reached 70 nches to lock in the win. The established record in the Double-Pump Hop stands at 76 inches and is ready to be broken. The question in San Berdoo was if any of these guys could top that mark. First up was David Marquez, whose Cutlass presently holds the Tour record. Even after he got the car going, it could only reach 64 inches. Next up was Mike Moreno, who tied that mark with his ’61 Impala. 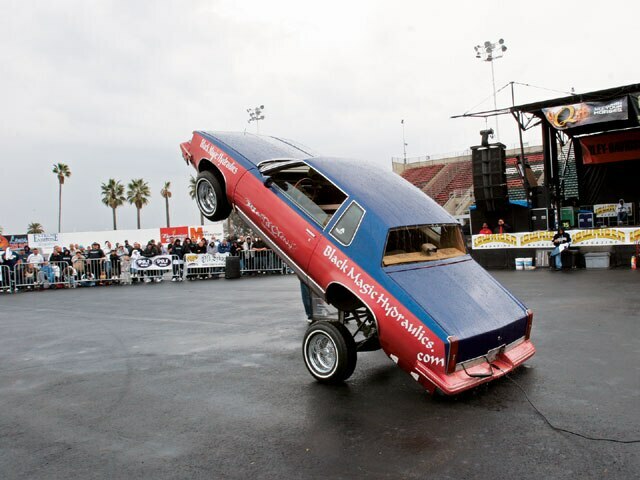 Las Vegas native Ron Eggers rolled out his Black Magic Hydraulics-equipped Cutlass and maxed out at 68 inches to squeeze into the lead. Last up was John Valdez, who tapped the rear bumper on his ’64 Impala several times in scoring 70 inches and taking First Place. In the Truck Hop, there were three competitors who were all trying to take home the prize money. Gilbert Perez got it started by hopping 27 inches with his ’84 Chevy El Camino. Eppie Martinez of New Mexico then rolled out his ’88 Ford Ranger and skied to 76 inches to take the lead. 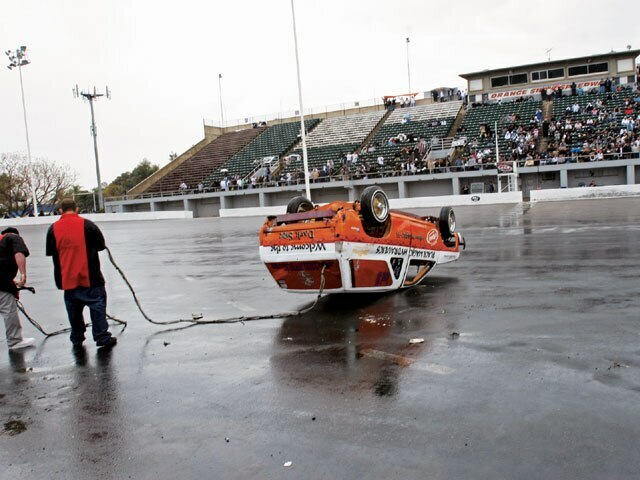 The question was if Eppie could hold onto First Place with Team Black Magic rolling out their ’84 Mazda, but the truck fell just short at 74 inches. The Radical Hop class was the biggest that we’ve seen with 12 competitors entering the event. That number was reduced to 10 as two of the competitors couldn’t meet the safety requirements. Having 10 guys battling it out kept everybody on edge. 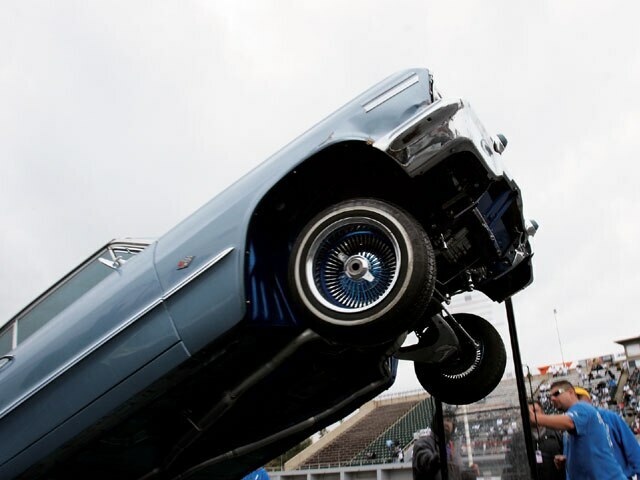 Juan Rodriguez hopped his ’86 Chevy Caprice to 68 inches, setting the number to beat. With so many guys in this class we knew that it was going to be all about inches. This was the case with Tony Longoria’s ’81 Chevy Malibu, which squeezed into Second Place at 69 inches. 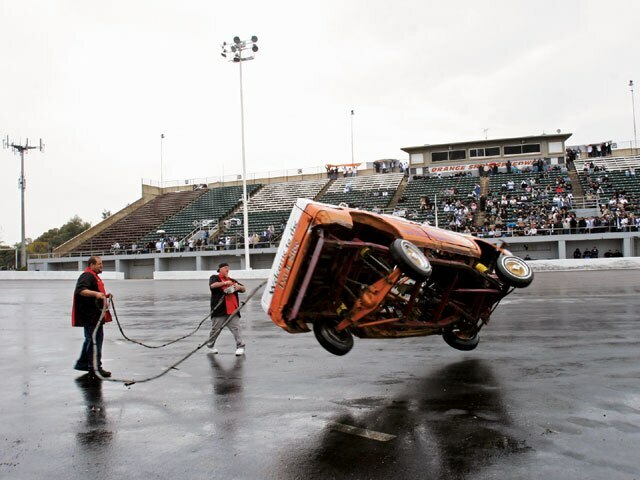 First Place was won by Todd and Arizona’s Street Life Hydraulics at 81 inches. A field of five entered the Street Dance and two of them got a head start for Vegas by scoring the required points to qualify for the finale in October. The first to place was Alejandro Fregoso of Arizona. 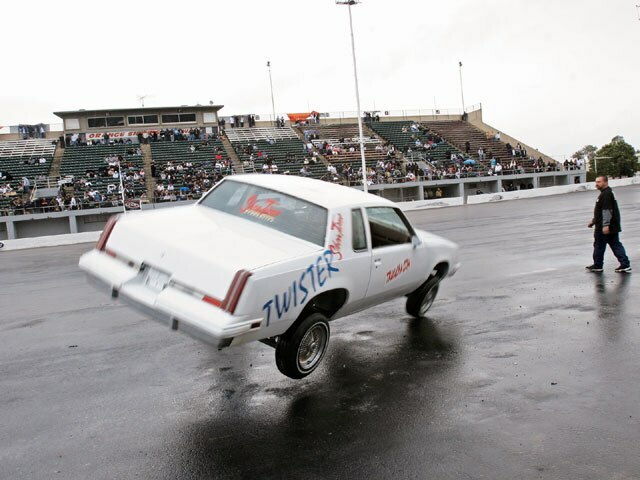 His ’83 Cutlass danced to a score of 20 points, enough to place, but not enough to qualify for Vegas. Next up was Juan Chavoya of Fresno, California, who had been out of it for a while but came back strong with his ’84 Cutlass. His routine included his signature “around the world” move and he rang up 24 points. Andres Canedo of Oxnard, California, came out on top as his ’86 Regal tallied 25 points to ensure the win and a space at the Las Vegas Super Show. David’s Cutlass starts to roll, which affected the final outcome. This S-10 shows major side-to-side action. 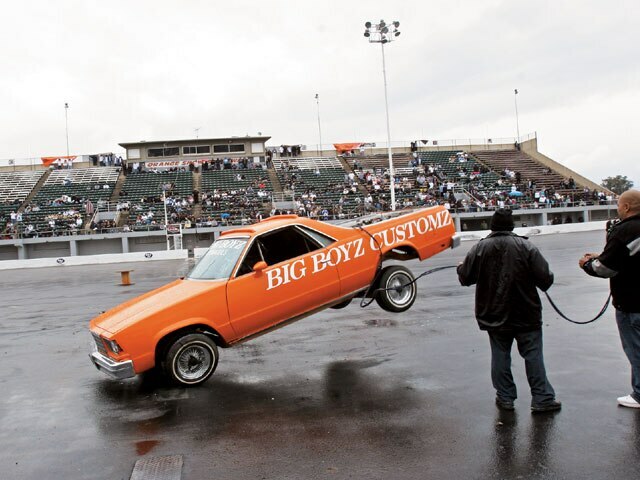 Big Boyz Customz tears it up with their crazy El Camino. This Vegas ’63 was on top of the game at 65 inches. Ron’s Black Magic Cutlass had enough mojo to squeeze into Second Place at 68 inches. It’s all about moves in the Radical Dance. Some competitors at San Berdoo couldn’t pull of the basic moves while others fell short of completing the required time. Joe Casillas was back with an ’84 Cutlass. 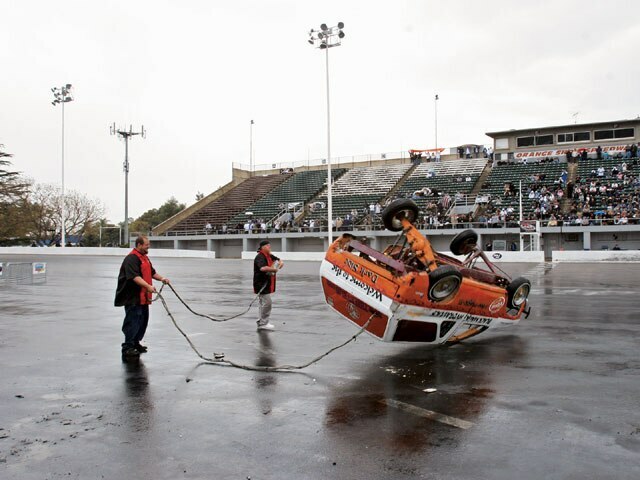 The car scored seven points, barely completing its performance, but scoring enough for Third Place. Next up, William Villegas danced his ’84 El Camino to the beat of 16 points. The Radical Dance was dominated by Black Magic’s “Voodoo,” which nearly scored a perfect 30, shy by three points at 27 after flipping on its roof using nothing but power. That performance won it for Ron Eggers and ended the hydraulics portion of the show. We figure on seeing many of the same faces battling it out at our next Tour stop down in San Diego. Hopefully, we’ll see you there, too.